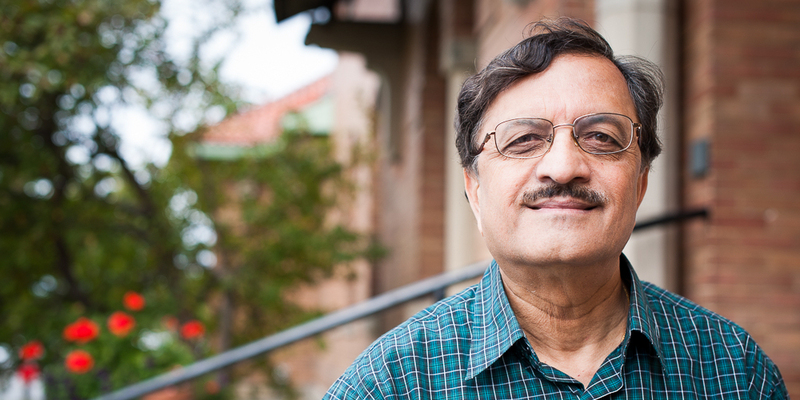 Dr. Ramaswamy's primary research interest is thermal processing and related processes including thin profile (retort pouch), aseptic processing of low acid liquid and particulate foods, food sterilization in rotational autoclaves and microwave processing. His current research also includes other areas such as pasteurization, freezing, drying, post-harvest technology, food system rheology and computer modeling. Dr. Ramaswamy's early research on thermal processing resulted in several key developments - demonstrating heat transfer distribution, not temperature, be a performance indicator of overpressure cookers; his long term activities at Institute for Thermal Processing Specialists (USA) and development of guidelines for heat penetration testing culminated in getting him the prestigious IFTPS Marvin Tung Award (2014). Heat transfer rates are promoted by container agitation during processing which improves the product temperature rise and uniformity, thereby preventing overcooking and improving product quality. Dr. Ramaswamy has explored in depth end-over-end agitation (batch operations) and biaxial rotary processing (continuous retorts) and currently focusing on a newer more of agitation based on reciprocation motion of can within the retort. Dr. Ramaswamy has contributed significantly to exploration of novel techniques like microwave/RF and ohmic heating, and the use of extrusion processing technology for creating value added products. Dr. Ramaswamy's more recent research thrust is in the area non-thermal processing of foods especially application of high pressure processing. Supported by funding from Canada Foundation for Innovation, he has established a state of the art, first of its kind high pressure technology pilot plant facility on Macdonald Campus leading Canada in this area. The latest technology currently under investigation through support from Natural Sciences and Engineering Research Council is exploring pulsed light (PL) for decontaminating foods. For his outstanding contributions to food processing and engineering research, Dr. Ramaswamy was awarded the 2015 Life Time Achievement Award at the ICEF-12 in Quebec City. Food Science: The post harvest chemistry and physiology of horticultural crops as they affect quality and marketability, handling methods pre and post harvest, principles and practices in cooling, storage, transportation and packaging. This course carries an additional charge of $47.42 to cover the cost of transportation with respect to field trips. The fee is refundable only during the withdrawal with full refund period. Food Science: The principles and practices of food processing with an emphasis on canning, freezing, and dehydration. A survey of the newer methods of food preservation such as irradiation, reverse osmosis etc. Food Science: Advanced technologies associated with food processing studied in more detail. Topics include food irradiation, reverse osmosis, super critical fluid extraction and extrusion. Course offered in even years. Check with Graduate Program Supervisor.